I like the effort from IBM to outreach to new developers which includes attending many non-IBM hosted conferences, offering programs particularly for startups, hackathons, university programs and more. 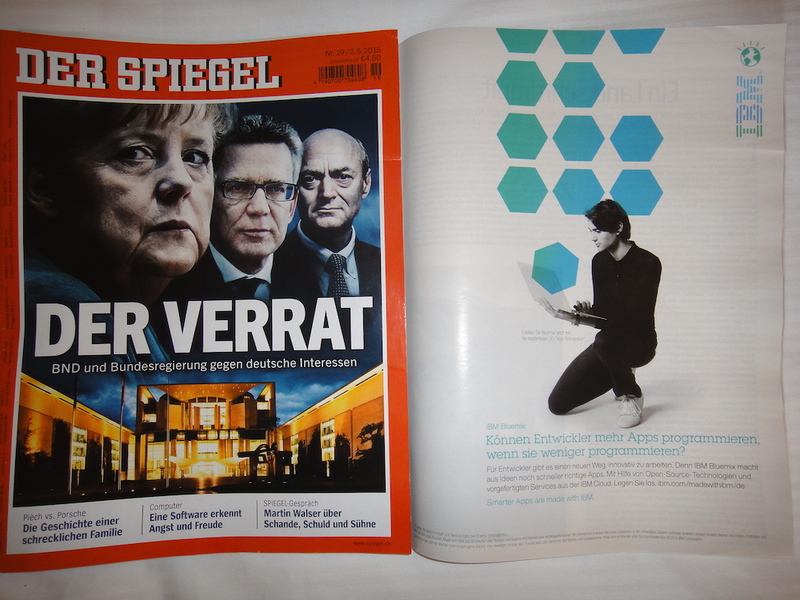 Below are two ads I saw recently in German magazines. This ad was published in ‘Der Spiegel’, a German news magazine. 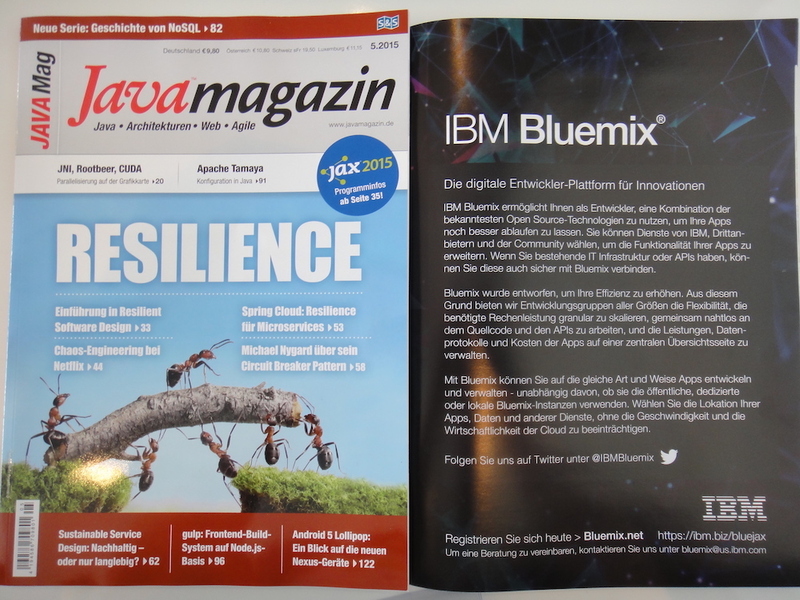 And this ad is from the German Javamagazin.